For drivers looking for a sedan hatchback with a long list of features and equipment inside and a powerful and dynamic performance on the road, the 2017 Honda Civic Hatchback has all that and more. With impressive fuel economy and five trim levels to choose from, there is a model level with the technology, luxury, and safety features that are right for you. Under the hood you’ll find a turbocharged engine that produces up to 174. Paired with a 6-speed transmission as the standard, a CVT is also an available option on the entry-level LX trim and the next step up the model lineup on the Sport model. The EX, EX-L Navi, and Sport Touring trim levels get a standard CVT. The Honda Sensing package of driver-assist technology is available in the LX, EX, and EX-L Navi trims. The top-of-the-line Sport Touring trim sees the entire suite as a part of its standard equipment. Lane Keeping Assist System – This system detects when the Civic Hatchback veers out of the lane lines on the highway and can nudge the steering wheel to move the vehicle back toward the center of the lane. 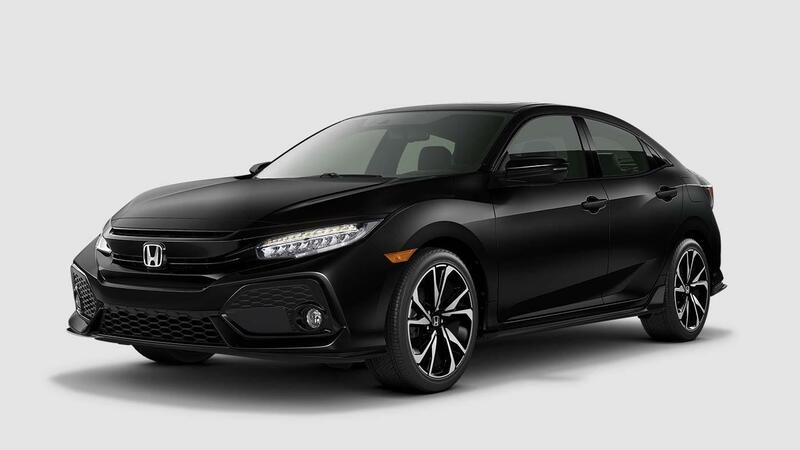 Adaptive Cruise Control with Low-Speed Follow – This system allows drivers to set a desired speed and a distance interval with the vehicle ahead, and the Civic Hatchback does the rest, keeping the vehicle within the natural flow of traffic. Auto High-Beam Headlights – These headlights automatically switch between low-beam and high-beam headlights for optimal visibility. Collision Mitigation Braking System – This system can detect when the Civic Hatchback is dangerously approaching an oncoming vehicle or other object and can engage the brakes in order to mitigate an impact. Road Departure Mitigation System – If the Civic Hatchback rolls over lane lines or road markings, this system will engage the brakes and steering to keep you from going off the road. 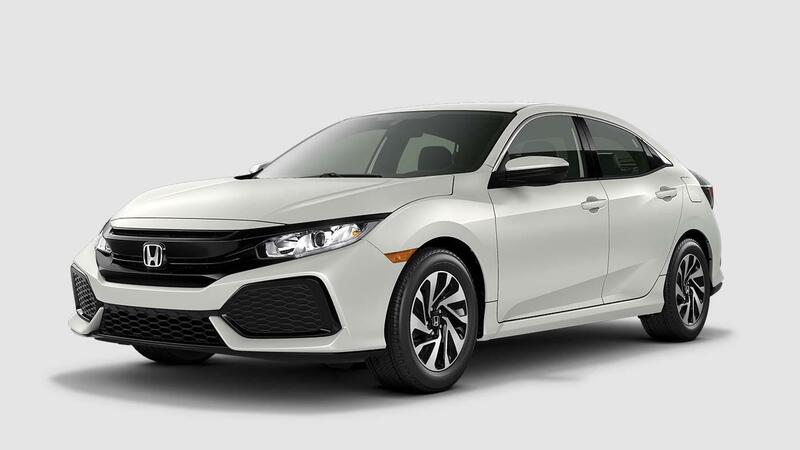 Explore the 2017 Honda Civic Hatchback trim levels in person and find out which one is right for you by visiting any Hampton Roads Honda Dealer for a test drive today! We can’t wait to help you choose your new Civic Hatchback.